1. If you’re interested in books as physical objects as well as vessels for words, The Minster Gate Bookshop is pretty much heaven in rickety, shelf lined form. It has Bibles bigger than your average 6 year old, first editions, beautiful children’s books and enough literature for the whole family to get lost in for a good hour. It also has fantastic old maps and prints. My daughter is collecting Arthur Rackham prints that provide lots of good opportunities to inspire dressing up adventures and stories about the characters and that will one day be an introduction to some classic literature. 2. This really goes without saying, but York Minster has a wealth of incredible things to look at and discuss – from the stone kings to the stained glass, the crypt and the library, all in addition to the sheer magnificence, beauty and size of the building itself. 400 year old Bibles you have to don gloves to handle? A great introduction to a discussion about the power of language through the centuries. The kings tie in nicely with Shakespeare’s Histories (spot the relevant ones) and the crypt’s archaeological and historical lessons could provide a fascinating opening for someone interested in the Anglo Saxons. There’s been a church on that spot since 627AD after all! 3. OK, so this one isn’t quite in York, but it’s close enough. Castle Howard is, in my humble opinion, one of the very best stately homes in the country, if not the best. It is stunningly beautiful, enormous enough that you can easily spend a whole day exploring, has gardens and horizons you couldn’t ever get bored of and, of course, an absolutely fascinating history. In fact it seems almost flippant to say that one of my favourite reasons to visit is because I can wander around the grounds pretending to be in Brideshead Revisited, given the history of the Howard family, but I confess my obsession with Evelyn Waugh overwhelms even my love of John Vanbrugh and Georgiana, Duchess of Devonshire. 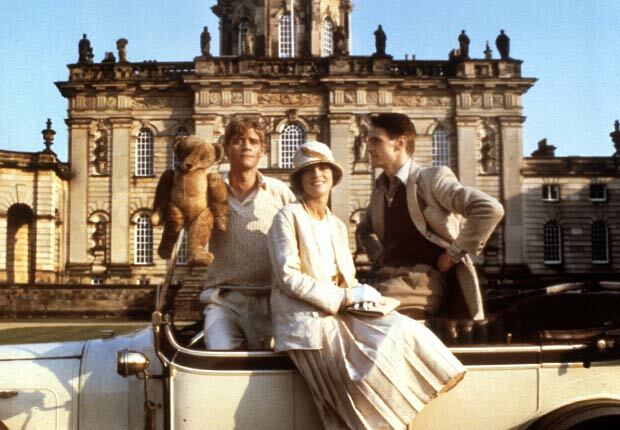 It is worth many day trips for the cafe and garden centre alone but the best way to see it is from a picnic rug, next to the fountain, with a copy of Brideshead in one hand and a croquet mallet in the other. All teenagers should read this book. So there we go. Fairy tales, Bibles, Anglo Saxons, Shakespeare and Waugh, all barely a stone’s throw from a slice of cake or a brownie in the city centre – and these are just three of the hundreds of places your children could get some ‘English tutoring’ in York this summer. And if they’d like to come and see me so I can share some of the excitement with them, that’s brilliant too.